Come be a part of our SCJ community! 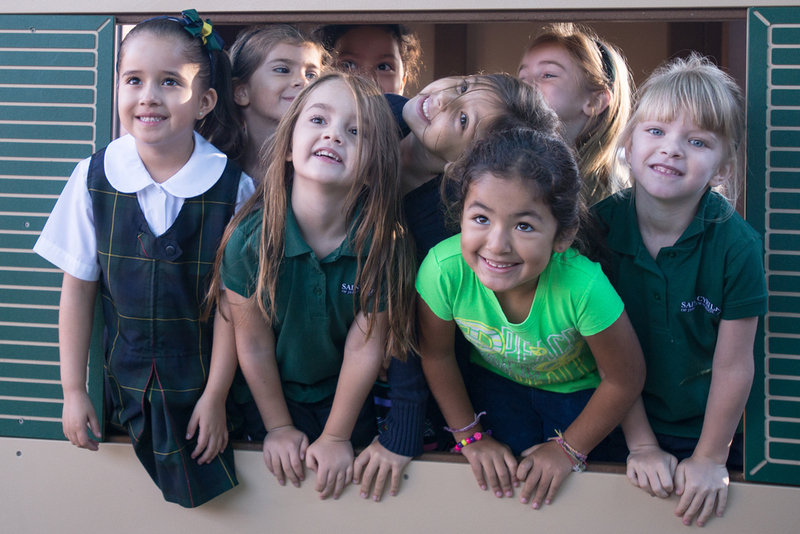 St. Cyril of Jerusalem Preschool provides a healthy balance between a child’s developmental journey and their academic readiness. As such, we make an effort to match the instruction to the child’s naturally developing ability. Our Pre-K program includes imaginative play as an important component where our students problem solve and build language. Students also engage in art activities to allow for creativity and self expression. They explore science and learn about the world around them by active exploration and hands-on experiences. Cognitive skills are further strengthened with manipulatives that can be counted, sorted, taken apart or put together. Reading and writing activities are designed to help children learn concepts of print and letter/word recognition. The classroom library provides children the opportunity to handle books and promote literacy. Additionally, Pre-K students are taught by subject-specific teachers in the areas of Music, P.E., and Spanish Language. Numerous field trips are conducted throughout the the school year. Morning daycare and after-school care are available from 6:45 a.m. to 6:00 p.m.